WASHINGTON, Nov 20 2014 (IPS) - The recent killing of an Arab youth by the police in the Israeli Arab village of Kufr Kanna, outside Nazareth, the ongoing bloody violence in Jerusalem, and the growing tensions between the Israeli security services and the Arab community in Israel could be a dangerous omen for Israeli domestic stability and for the region. Should a third intifada or uprising erupt, it could easily spread to Arab towns and cities inside Israel. Recent events clearly demonstrate that the Arabs in Israel are no longer a quiescent, cultural minority but an “indigenous national” minority deserving full citizenship rights regarding resources, collective rights, and representation on formal state bodies. Foreign media is asking whether Palestinians are on the verge of starting a new intifada in Jerusalem, the Occupied Territories, and perhaps in Israel. Ensuing instability would rattle the Israeli body politic, creating new calls from the right for the transfer of the Arab community from Israel. As Israeli politics moves to the right and the state becomes more Jewish and less pluralistic and inclusive, the Palestinian community, which constitutes over one-fifth of the population, feels more marginalised and alienated. In response to endemic budgetary, economic, political, and social discrimination, the Arab community is becoming assertive, more Palestinian, and more confrontational. Calls for equality, justice, and an end to systemic discrimination by “Israeli Arab” civil society activists are now more vocal and confrontational. The Israeli military, police, and security services would find it difficult to contain a civil rights intifada across Israel because Arabs live all over the state, from Galilee in the north to the Negev in the south. The majority of Arabs in Israel are Sunni Muslims, with a small Druze minority whose youth are conscripted into the Israeli army. The even smaller Christian minority is rapidly dwindling because of emigration. The vast Muslim majority identifies closely with what is happening at the important religious site of al-Haram al-Sharif or Temple Mount in Jerusalem. The Islamic State’s territorial expansion in Iraq and Syria and the rise of Salafi groups in Sinai and Gaza will surely impact the Arabs in Israel. In addition to Arabic, Palestinians in Israel speak Hebrew, travel throughout the country, and know Israel intimately. A potential bloody confrontation with Israeli security forces could wreak havoc on the country. Based on conversations with “Israeli Arab” activists over the years, a possible “intifada” would be grounded in peaceful protests and non-violent civil rights struggle. The Israeli government, like Arab regimes during the Arab Spring, would attempt to delegitimise an “Israeli Arab Spring” by accusing the organisers of supporting terrorism and Islamic radicalism. Analysis of the economic, educational, political, and social status of the 1.6 million Arabs in Israel shows not much improvement has occurred since the bloody events of October 2000 in which 13 Arabs were killed during demonstrations in support of the al-Aqsa intifada. In fact, in welfare, health, employment, infrastructure, public services, and housing the situation of Israeli Arabs has retarded in the past decade. For years, the Arab minority has been called “Israeli Arabs” because they carry the Israeli citizenship or the “’48 Arabs,” which refers to those who stayed in Israel after it came into being in 1948. Although they have lived with multiple identities—Palestinian, Arab, Islamic, and Israeli—in the past half dozen years, they now reject the “Israeli Arab” moniker and have begun to identify themselves as an indigenous Palestinian community living in Israel. Arab lawyers have gone to Israeli courts to challenge land confiscation, denial of building permits, refusal to expand the corporate limits of Arab towns and villages, meager budgets given to city and village councils, and limited employment opportunities, especially in state institutions. In the Negev, or the southern part of Israel, thousands of Arabs live in “unrecognized” towns and villages. These towns often do not appear on Israeli maps! Growing calls by right-wing Zionist and settler politicians and their increasingly virulent “Death to Arabs” messages against the Arab minority have become more shrill and threaten to spark more communal violence between Jews and Arabs across Israel. Deepening fissures in Israeli society between the Jewish majority and the Arab minority will have long-term implications for a viable future for Arabs and Jews in Palestine. The Arab community expects tangible engagement initiatives from the government to include allowing Arab towns and villages to expand their corporate limits in order to ease crowding; grant the community more building permits for new houses; let Arabs buy and rent homes in Jewish towns and ethnically mixed cities, especially in Galilee; increase per capita student budgetary allocations to improve services and educational programmes in Arab schools; improve the physical infrastructure of Arab towns and villages; and recognise the “unrecognised” Arab towns in the Negev. Depending on government policy and regional developments, Israeli Arabs could be either a bridge between Israel and its Arab neighbours or a potential domestic threat to Israel as a Jewish, democratic, or multicultural state. So far, the signs are not encouraging. The Islamic Movement, which constitutes the vast majority of the Arab community, is also becoming more cognizant of its identity and more active in forging links with other Islamic groups in Gaza, the West Bank, and Jerusalem. The growing sense of nationalism and Islamisation of the Arab community is directly related to Israel’s occupation policies in the West Bank, continued blockade of the Gaza Strip, and refusal to recognise the Palestinians’ right of self-determination. Long-term government-minority relations in Israel, whether accommodationist or confrontational, will also affect American standing and national interest in the region. Although secular activists within the Arab community are wary of the Islamist agenda, they seem to collaborate closely with leaders of the Islamic Movement on the need to assert the political rights of Israeli Arabs as full citizens. In 2006-07, Arab civil society institutions issued three important documents, known collectively as the “Future Vision,” expressing their vision for the future of the Palestinian community in Israel and its relations with the state. Arab activists believe that recent Israeli policies toward the Palestinian minority and their representatives in the Knesset are undermining the integrationist effort, empowering the Islamist separatist argument, and deepening the feeling of alienation among the Arab minority. 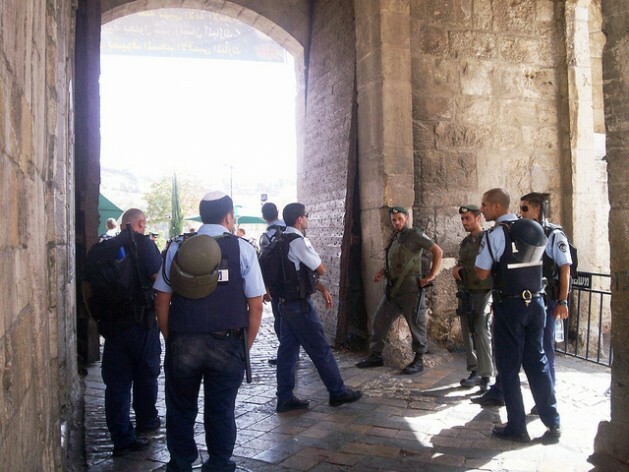 Many of the conditions that gave rise to the bloody confrontation with the police on Temple Mount over a decade ago, including the demolition of housing, restrictions on Arab politicians and Knesset members, restrictive citizenship laws, and budgetary discriminatory laws remain in place. A decade ago the International Crisis Group (ICG) anticipated the widespread negative consequences of discrimination against Israel’s Arab minority and its findings still stand. Perhaps most importantly, the organisation judged the probability of violence to remain high as long as “greater political polarization, frustration among Arab Israelis, deepening Arab alienation from the political system, and the deteriorating economic situation” are not addressed. In order to avoid large-scale violence, the ICG recommended that the Israeli government invest in poor Arab areas, end all facets of economic, political, and social discrimination against the Arab community, increase Arab representation at all levels in the public sector, and implement racism awareness training in schools and in all branches of government, beginning with the police. A poor, marginalised one-fifth of the Israeli population perceived as a demographic bomb and a threat to the Jewish identity of the state can only be defused by a serious engagement strategy—economically, educationally, culturally, and politically. If violence and continued discrimination are part of Israel’s long-term strategy against its Arab minority to force Arab emigration, it is unlikely that the government would implement tangible initiatives to improve the condition of the Arab minority. Accordingly, communal violence in Israel would increase, creating negative ramifications for regional peace and stability and for U.S. interests in the eastern Mediterranean.